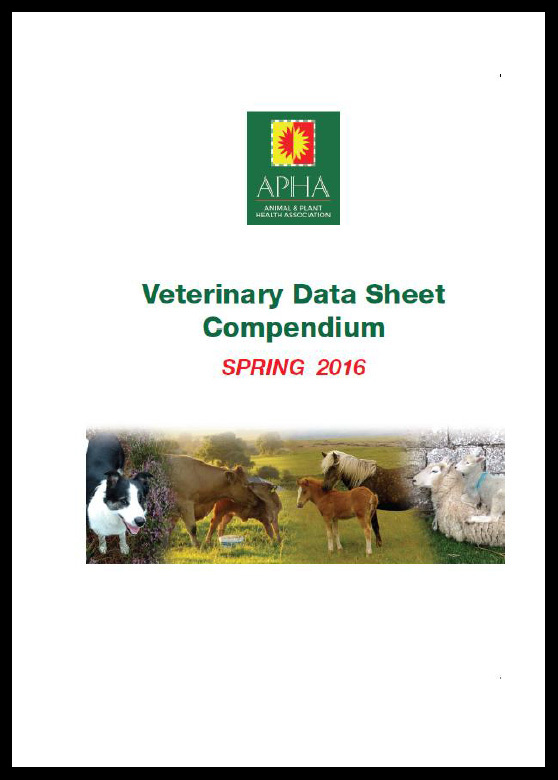 The Animal and Plant Health Association (APHA) is the representative body for manufacturers and sole distributors of animal health (veterinary medicines) and plant health (plant protection/agrochemical) products in Ireland. These industries play a vital role in providing high quality food at an economic cost whilst protecting the environment. APHA represents the interests of its members to Government, related industries and the general public. To ensure Ireland is represented at European level, APHA is a member of the ECPA (European Crop Protection Association) and the IFAH (International Federation for Animal Health). The Compendium 2016 is now available to order. Please contact us for more information or download and return the order form for your copy. Safe Use of Livestock Medicine for Cattle and Sheep farms. Click here to download (PDF). Safe use of Pesticides eLearning - please click here to go to our partner site and use the eLearning tool to review your knowledge and learn about the safe use of Pesticides. Click to download our Pesticide Information And Advice poster.